So, I think we all know by now that I make my reference images in Illustrator. 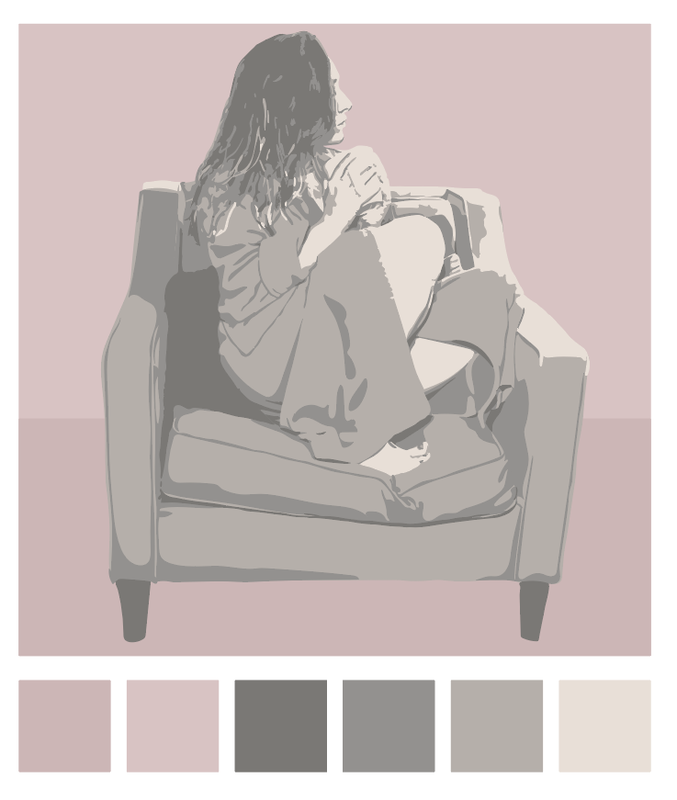 So, I was working on a bunch of different items this weekend, and I thought "why don't I make a spinsterly painting?" Well, I haven't actually made a painting yet...it's way down on the list, but if I do ever get to it, I made a reference image. So, here's a spinster. It's me, in particular. I'm sure you knew that by now. I'm wearing my bathrobe, sitting weird in a chair, and holding a mug. The only thing missing is Miranda, but she hates to sit still for photos. That's all I've got for you today. If you're hating your Monday, just think...you can go home tonight, have a shower, put on your bathrobe, and sit in a chair. Substitute a piece of pizza for that coffee. You don't want to be up all night.